Samsung Galaxy M10	No ratings yet. Apple iPhone XS 512GB	No ratings yet. Apple iPhone XS Max 512GB	No ratings yet. Huawei P30 Pro	No ratings yet. 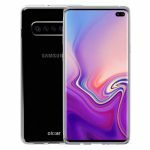 Samsung Galaxy Note 9 512GB	No ratings yet. Apple iPhone XR	No ratings yet. Huawei Mate 20 Pro	No ratings yet. Apple iPhone XS Max	No ratings yet. Apple iPhone XS	No ratings yet. Apple iPhone X 256GB	No ratings yet. Apple iPhone X	No ratings yet. Huawei P30	No ratings yet. Apple iphone 8 Plus	No ratings yet. Samsung Galaxy S9 Plus	No ratings yet. Apple iPhone 7 Plus 256GB	No ratings yet. Oppo R17 Pro	No ratings yet. Apple iphone 8 256GB	No ratings yet. Apple iPhone 7 Plus 128GB	No ratings yet. Samsung Galaxy A9 2018	No ratings yet.